They're coming, whether you like it or not. 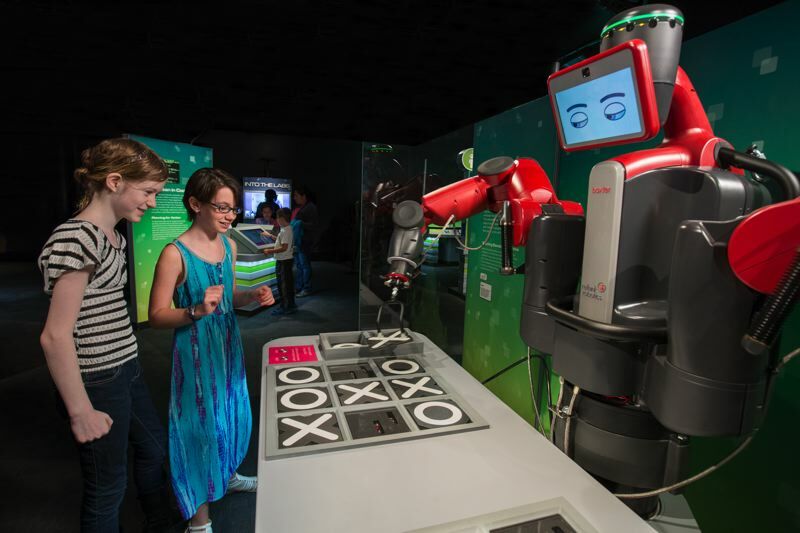 Robots will be part of the future in some capacity, and to help educate the masses about the technology, the Oregon Museum of Science and Industry presents the exhibit "Robot Revolution," March 17-Sept. 3. It includes the interactive display of some 40 robots from global companies and universities, and explores how robots ultimately will be our companions and colleagues, changing how we play, live and work together. 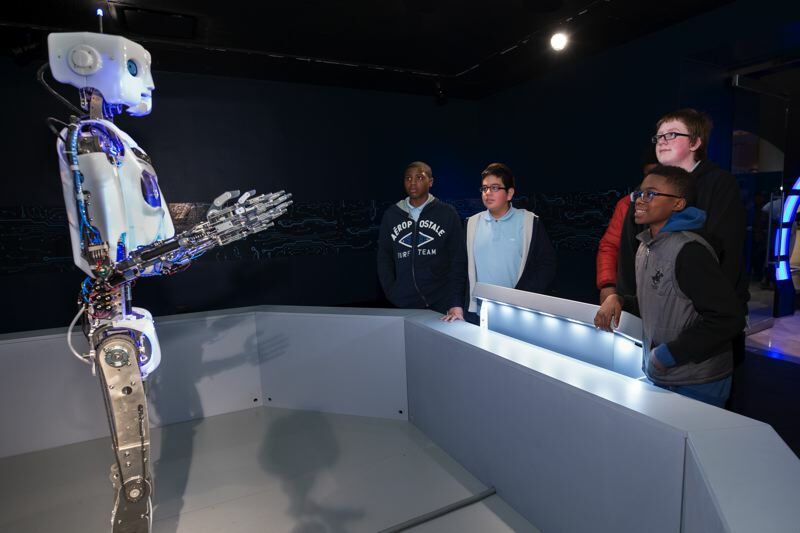 The exhibit development team at Chicago's Museum of Science and Industry created the exhibit, working with a renowned group of robotics experts. OMSI has been busy putting together the exhibit for the upcoming opening. "We're very pointed in the direction that (robots) are definitely part of the future, and as technology advances they'll become more intertwined with home, work, medical life," says Jennifer Powers, OMSI feature hall assistant manager. "This exhibit does a great job of really looking into that." 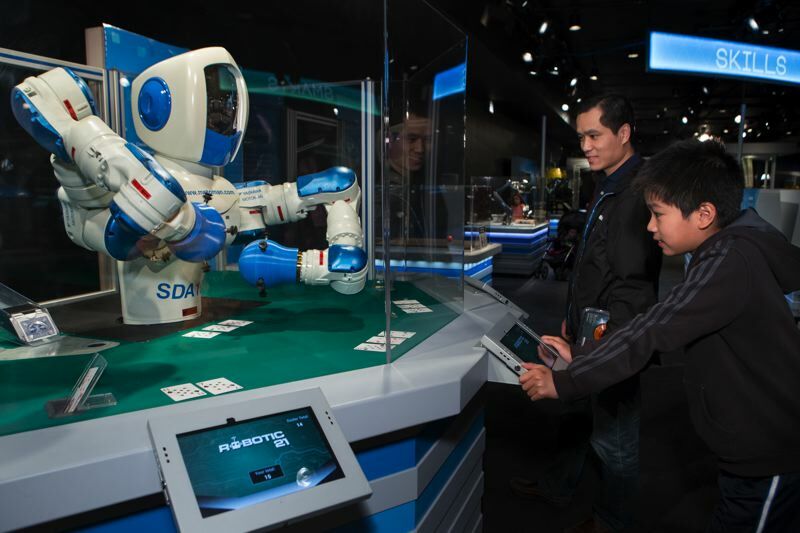 There are four thematic areas of the exhibit — Locomotion, Cooperation, Smarts and Skills — that examine the technology behind the robots. "What can a robot do to cooperate with humans?" Power says. "It does a great job of showing where the future of robotics can go and where robotics go now." Companies that have an interest in future robotics have lined up support for the exhibit, including Google.org and Boeing. Major sponsors are U.S. Bank and Mentor Graphics. "Robotics is a fascinating area of science today because scientists and engineers are constantly pushing the boundaries in their efforts to create new possibilities," says Nancy Stueber, OMSI president and CEO. "I hope our guests come away from this experience with a deeper understanding of how robots are becoming an integral part of our world." There are scores of robots to look at, read and hear about, and interact with (via a joystick, for instance), from the Yume Robo, which climbs up and down a ladder, to the Recon Scout Throwbot XT, which can be put into a dangerous situation to collect information. "My favorite robot is Baxter. In real life, Baxter can be applied to a lot of different industrial settings," Power says. "It's easily programmed and great for small companies. Visitors can play tic-tac-toe with him, and it shows his movement and what he's able to do. "My favorite part is that he has been programmed to occasionally cheat. He'll replace one of your tiles and cheat, so he can win. That's the human element of robots. Robots do only what humans tell them to do, and some programmer thought it'd be funny to make him cheat." It's all about making them more "relatable," Powers adds. "The more human a robot is, the more we trust it and have empathy for it. Sometimes people cheat at tic-tac-toe or Candy Land. It makes him more relatable." • Cooperation — Discover how engineering breakthroughs help create robots that work with humans effectively to enhance our lives, including EMYS mimicking facial expressions and the PARO baby seal therapy robot charming you and responding to touch. There's also surgical training simulation to perform robotic surgery, a robot exoskeleton that augments physical strength and bots that play soccer. • Smarts — Identify how these machines are able to sense, plan and act, while comparing and contrasting ways in which humans and robots learn. ROBOTIS-OP uses visual tracking software to follow your face and make eye contact. The UR5 robot arm has an ability to learn by watching you move your arm. • Skills — Learn about the skills that robots possess that mimic and surpass human capabilities. "Grippers" allow you to select and pick up objects. The Fanuc delta robot selects and sorts items with precision and speed. A Yaskwawa/Motoman dual-art robot challenges you to a game of 21. And Baxter challenges in tic-tac-toe. • Locomotion — Explores ways that robots move and offer human access to places we could never venture. ROBOTIS-MINI can put one foot in front of the other and control its balance. THES is a snakelike bot that can crawl through pipes and alert humans to leaks and system damages. TOPY OSCAR climbs up and down stairs with rubber treads. In an OMSI-produced section of the exhibit, there are local robots from Oregon State University, Oregon Health & Sciences University, Digital Harvest of Pendleton and ORTOP of Beaverton. "It's definitley something forward-thinking and looking how future generations will handle robotics," Powers says of the exhibit.